FFA - The Citadel says NO to cadet's request to wear hijab. FloridaFamily Association sent out two email alerts in April 2016 which reported The Citadel considers breaking a 175 year old dress code to allow female Muslim cadets to wear hijabs. Thousands of people sent emails through Floridafamily.org urging Citadel officials to reject the request to allow cadets to wear hijabs. 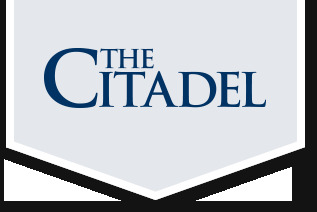 CBS News reports The Citadel says no to hijabs. CHARLESTON, S.C. - The Citadel military college has decided a newly admitted Muslim student cannot wear her traditional Muslim headscarf if she enrolls. The South Carolina school announced Tuesday that Commandant of Cadets Geno Paluso decided allowing the student to wear the head covering known as a hijab wouldn't be consistent with the school's policy of having cadets look similar. Click here to read full news report. A special thanks to everyone who sent emails on this issue. Your support made a difference. The email for this article was deactivated after The Citadel decided NOT to allow hijabs. A leading U.S. military college is weighing the possibility of allowing a recently admitted student to wear an Islamic head covering. Col. Brett Ashworth, vice president of communications and marketing for the Citadel, said in a statement to Anadolu Agency that the school is currently reviewing the request. Ashworth did not provide the student’s name, but said the female student has been accepted for the fall semester. A school spokeswoman said that this is the first request for a hijab exemption at the Citadel. Founded in 1842, the South Carolina military college is known for its strict attire and conduct codes, as well as its high academic standards. In the eight times the word hijab, or a derivative, appears in the Koran, it means a “barrier” or “curtain,” with spiritual, not sartorial, meaning. Today, well-intentioned women are wearing headscarves in interfaith “solidarity.” But, to us, they stand on the wrong side of a lethal war of ideas that sexually objectifies women as vessels for honor and temptation, absolving men of personal responsibility. This purity culture covers, segregates, subordinates, silences, jails and kills women and girls around the world. Florida Family Association has written an email for you to send to encourage officials at the Citadel to reject the request to allow cadets to wear hijabs.